Oklahoma City University is a private, United Methodist-affiliated university offering undergraduate, graduate, and first-professional degrees. Total enrollment is 2,758, and includes students from 48 states and 58 foreign countries, as well as 600 students enrolled through our programs in Singapore, The People’s Republic of China, and Canada. 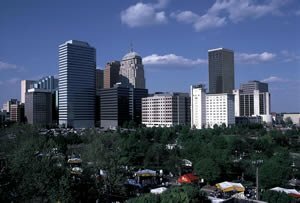 Oklahoma City University is in the heart of the capital city of Oklahoma and is set in a widely diverse urban area- racially, ethnically, culturally, and economically. 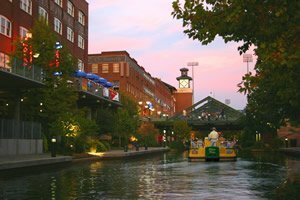 OKCU is adjacent to the Asian District, two miles from the State Capitol, and a few blocks from the historic downtown arts and entertainment district that includes a new ballpark and arena, the renovated Civic Center, and a new museum of art. World-class medical facilities are just minutes away, and Will Rogers World Airport, which offers direct access to many of the nation’s major cities, is just 10 miles away. Oklahoma City University is comprised of seven schools and colleges including the Petree College of Arts and Sciences; the Wimberly School of Religion and Graduate Theological Center; the Margaret E. Petree College of Performing Arts with its Bass School of Music, Ann Lacy School of American Dance and Arts Management, and the Department of Theater; the Kramer School of Nursing; the School of Law; and the Meinders School of Business. Applications for visiting scholars are encouraged in all disciplines. As an institution in the American heartland, one goal of Oklahoma City University is to promote understanding and awareness across the social, political, religious, and cultural spectrums. OKCU frequently offers lectures and public events to promote global awareness, builds alliances with religious organizations in the area and promotes religious tolerance and cross-cultural understanding among students and the broader community. Through the visiting scholars program, OKCU wants to include individuals who can advance these goals.